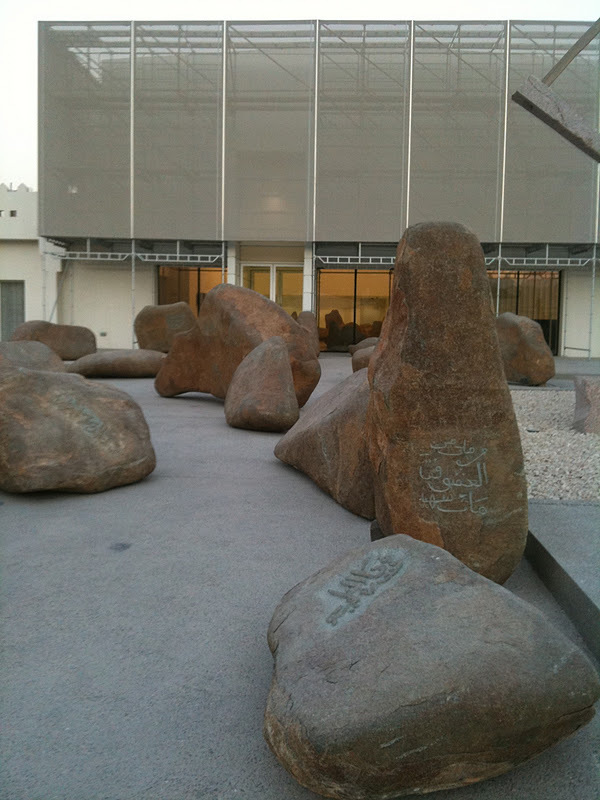 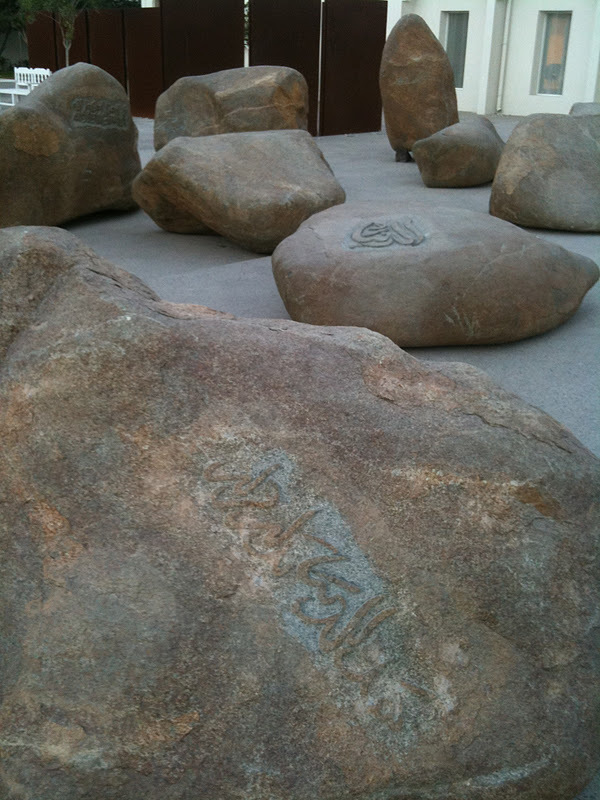 Currently there are many huge rocks in front of Mathaf: Arab Museum of Modern Art for Cai Guo-Qiang's Saraab. 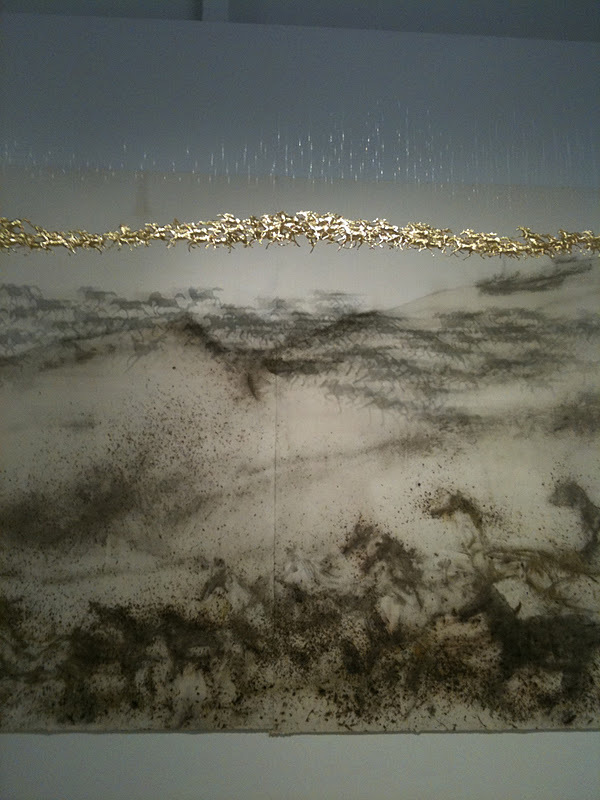 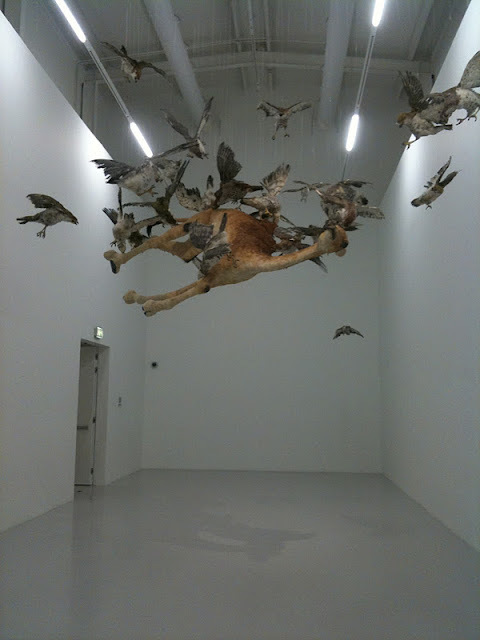 Cai Guo-Qiang: Saraab showcases more than fifty works, including seventeen newly commissioned artworks, by renowned contemporary artist Cai Guo-Qiang. Saraab ("mirage") spectacularly re-imagines historical relations between China and the Gulf region and, in turning east to consider artistic dynamics across Asia, reaffirms Mathaf's commitment to presenting a unique Arab perspective on modern and contemporary art. 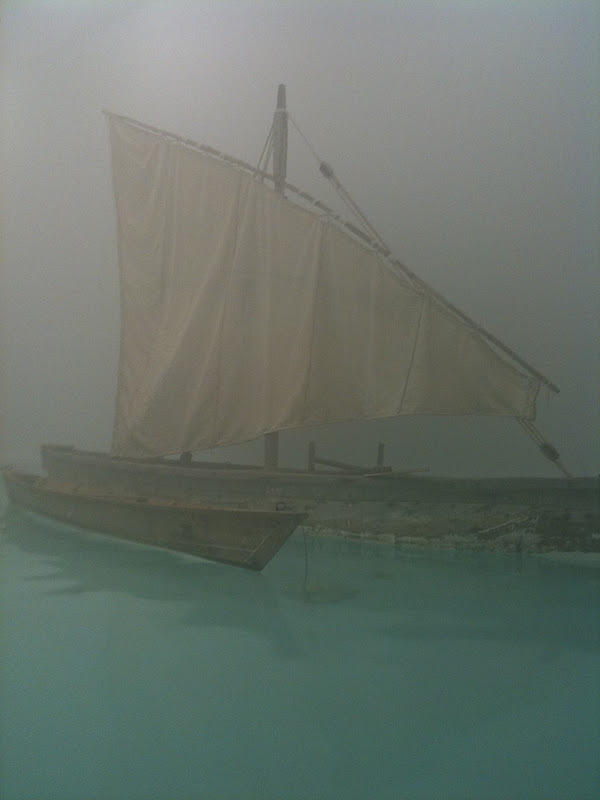 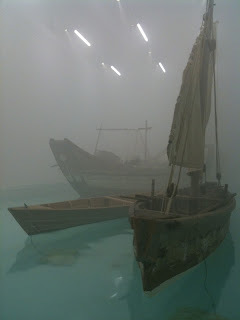 These were huge ships surrounded by mist to show ambiguity. This was a huge map of Qatar to China drawn like old Chinese drawings. 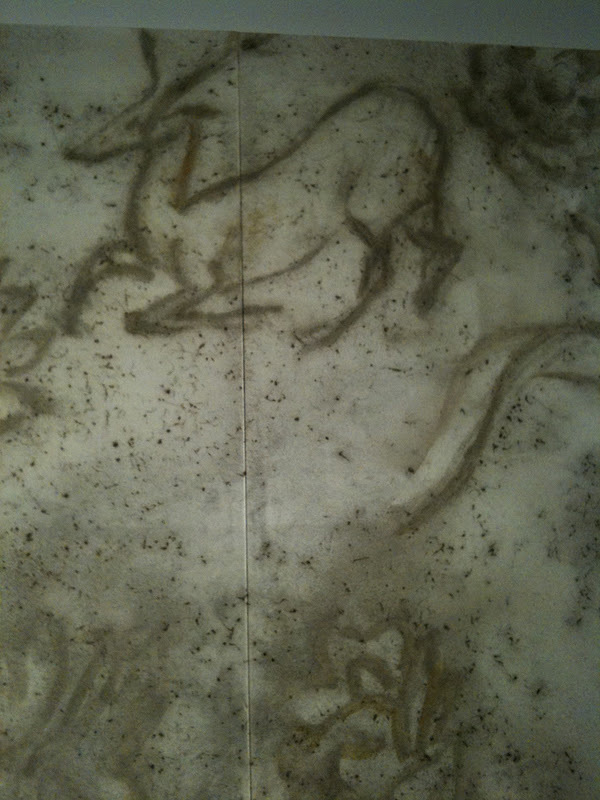 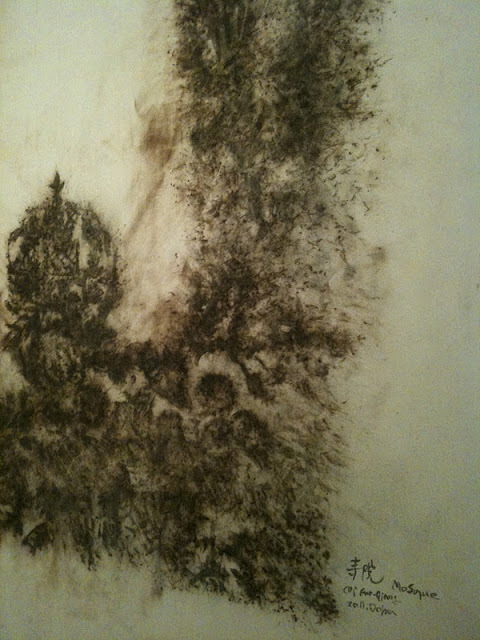 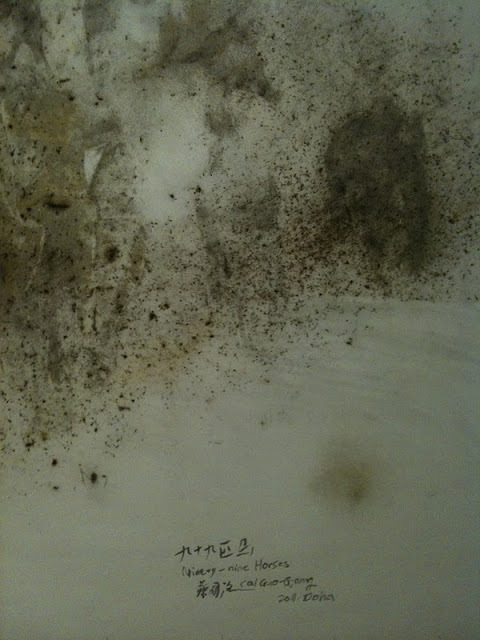 Much of his work was made from gun powder. 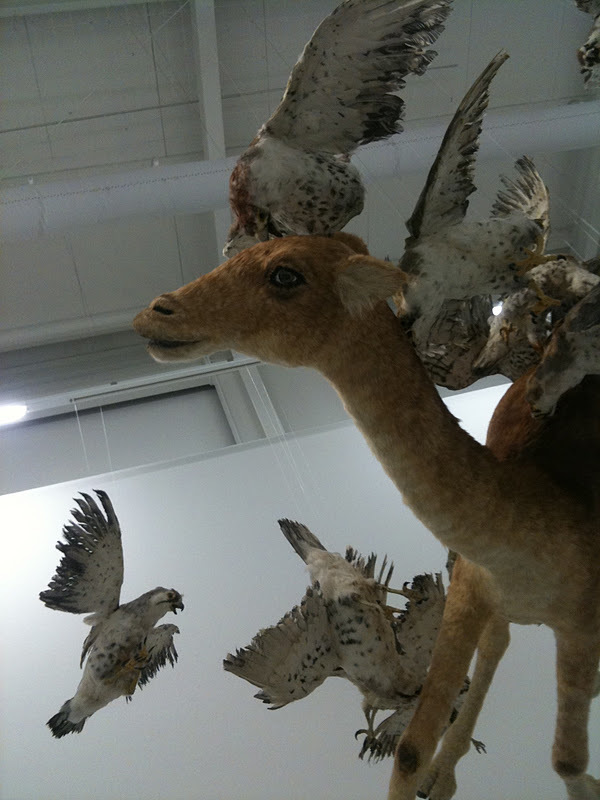 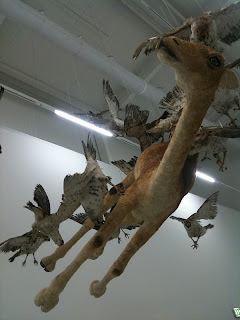 This art shows more ambiguity of whether the falcons are helping or harming the camel. 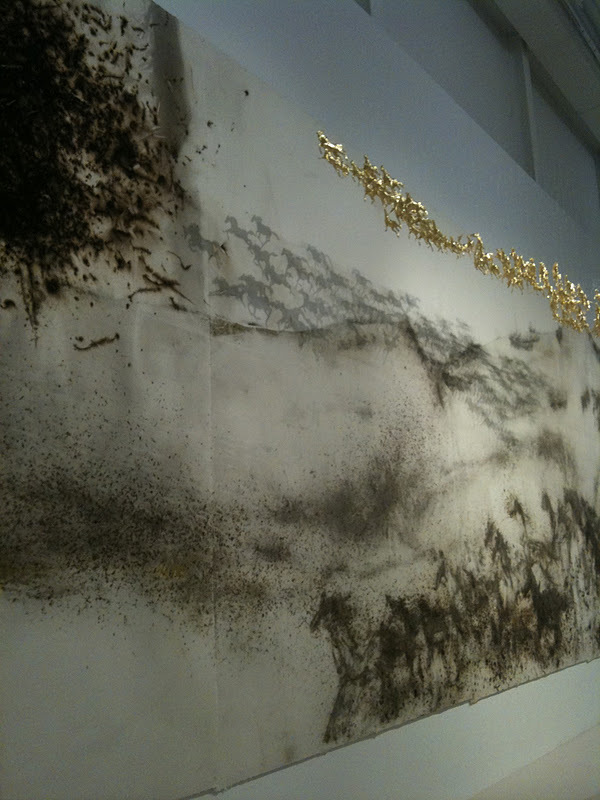 99 horses, made of gun powder and gold, which can represent the 99 names of God.